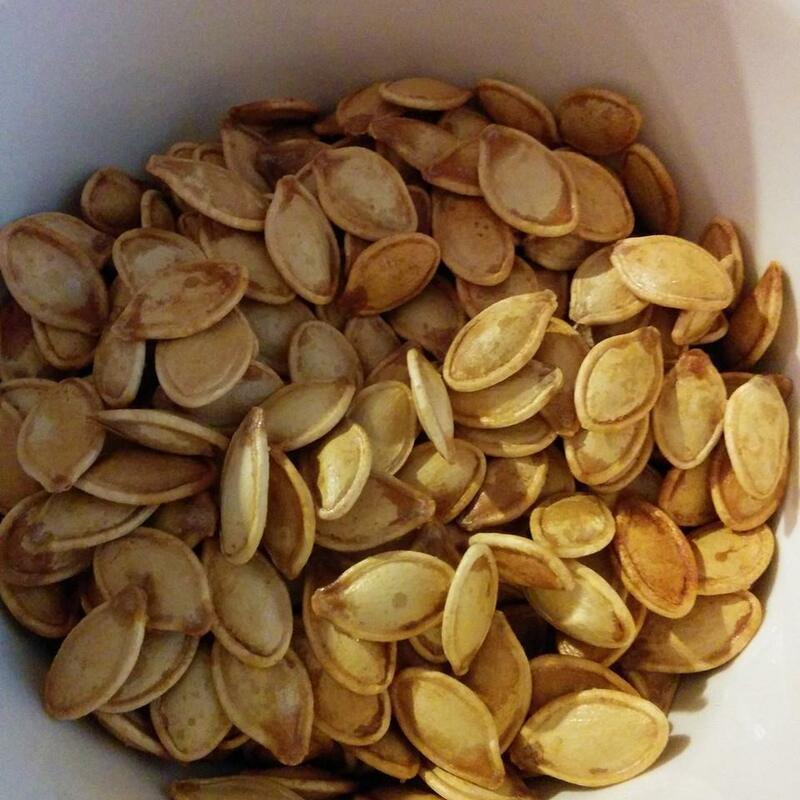 Separate seeds from pumpkin flesh as best as you can. Rinse seeds in cool water and place in a medium pot. Cover with water, add a dash of salt, and bring to boil. Boil for about 15 minutes, drain, and spread out on a baking sheet. Leave seeds to dry overnight. For every 1 1/2 cup of seeds, toss with 2 tsp melted butter (or vegan spread) and salt to taste. 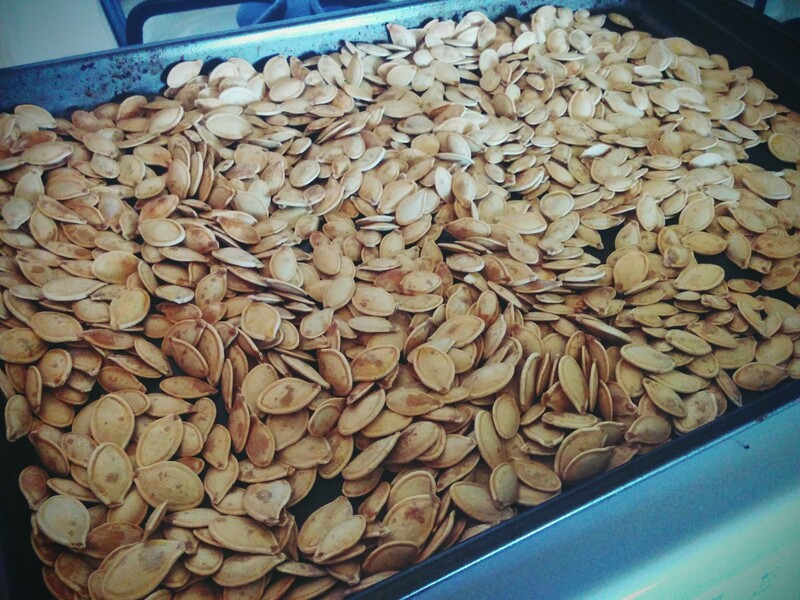 Spread seeds in a single layer on baking sheet and bake at 300° for 15 minutes, or until golden brown, stirring occasionally. Allow to cool before eating.